"They are amazing!! Wouldn’t go anywhere else. Highly recommended!" "Dr. Patel and staff are amazing!! Will be back soon." "Dr. Patel took care of all my facial aesthetic needs and I couldn't be happier!" Board-certified internal medicine physician and medical aesthetics specialist Niki Patel, MD is committed to providing excellent care and helping patients achieve the looks of their dreams. 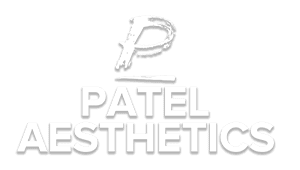 At his practice, Patel Aesthetics, Dr. Patel treats adult patients of all ages at two convenient locations in Suffern and the Bronx, New York. From preventive primary care to cutting-edge aesthetic treatments, Dr. Patel offers a broad spectrum of medical services. He strives to help patients receive the treatment they need to lead a healthy, fulfilling life. At Patel Aesthetics, he offers various nonsurgical treatments for fat reduction, skin rejuvenation, and hair restoration to help you look and feel your best. With a firm belief in the importance of a trusting doctor-patient relationship, Dr. Patel treats every patient with the personalized care and attention he’d give his own family. He also prioritizes efficient treatment to get you back to the activities you love as quickly as possible. Dr. Patel earned his medical degree from Medical College, Baroda, in India before completing his residency in internal medicine at the Medical Center of Central Georgia.